Mirror and Hammer Films builds on the idea that art is not only a mirror to reflect reality but also a hammer with which to shape it. We are a film company dedicated to shedding light on injustices around the world. We are based in Santa Barbara. 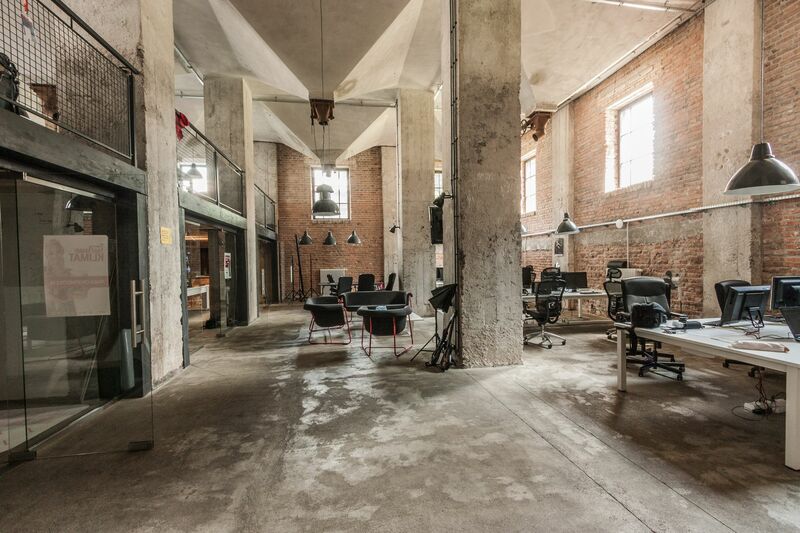 The company creates independent documentaries that offer new ways to think about how ordinary people change the world. We work to create art that shows the world as it is and how it could be. Professor by day. Filmmaker by night. I am a university professor by day and a filmmaker by night. I fuse my scholarship with social justice through the combined lenses of the movie camera and critical research. 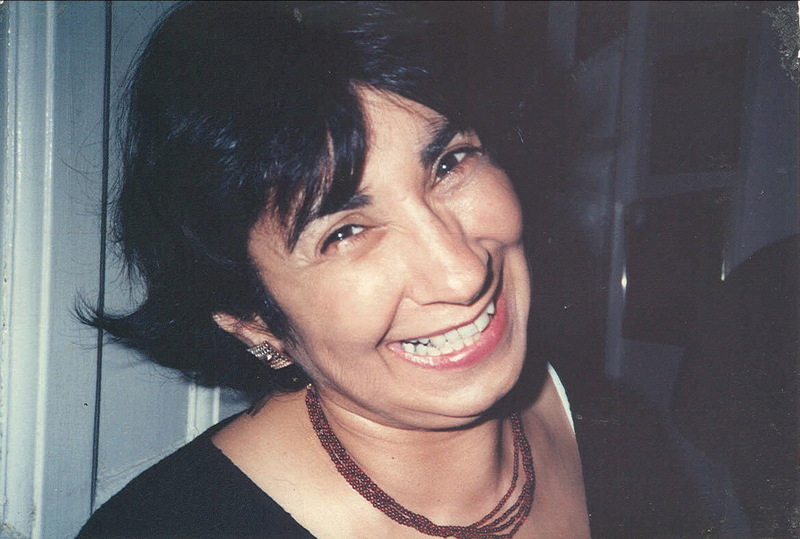 I was born in India, grew up in London and arrived as a professor at UC Santa Barbara in 1991. I am active in efforts to create social justice and a more livable planet through anti-racism, feminism and movements that foster greater economic equality. Documentary film allows us to imagine a world that is full of possibilities for change. Cinematic sociology lies at the cutting edge of visual sociology and tells the story, through pictures, of how people navigate the contradictions in their lives. Building on sociological analyses I create documentaries that suggest how change is made and could be made. Feminist insights can lead to a new way of seeing the world. We do this by knowing that women all over the world are different and, at times, divided, separated by income, nationality, ‘race’, sexuality and many other forms of inequality. My impulse is to ensure that racialised inequalities of power are integrated into my work. This is so very important because the majority of the world’s population is not white and much of the world’s population is very poor. The planet demands that we protect it and all that is on it. All my work is informed by this demand. My goal is for us to realise that we all can do something significant to protect the planet, and I try to show how people around the world are doing this. I care about how to make the planet equal. I know we all can do that when we work together, whoever we are. The usual suspects are, of course, part of my world view: ownership of land, incomes, unequal treatment because of racism, gender discrimination, vulgar understandings of sexualities, refusing to support people because of where they were born, or how they arrived within the borders of a nation state. Mirror and Hammer is about sharing the stories of how we foster social justice, and how we can all live creative and enjoyable lives. I have always insisted on the importance of seeing the world how it might be by understanding why it is as it is. I turned to documentary film-making in 2003 because documentary films, like novels, are able to bring people’s stories to life. By illustrating different methods of making change, my hope is that viewers are empowered to see that large change can be made on a smaller scale. The Shape of Water is a feature documentary that tells the stories of powerful, imaginative and visionary women confronting the destructive development of the Third World with new cultures and a passion for change. Shape of Water Trailer from Kum-Kum Bhavnani on Vimeo. The Shape of Water is a feature documentary that tells the stories of powerful, imaginative and visionary women confronting the destructive development of the Third World with new cultures and a passion for change. 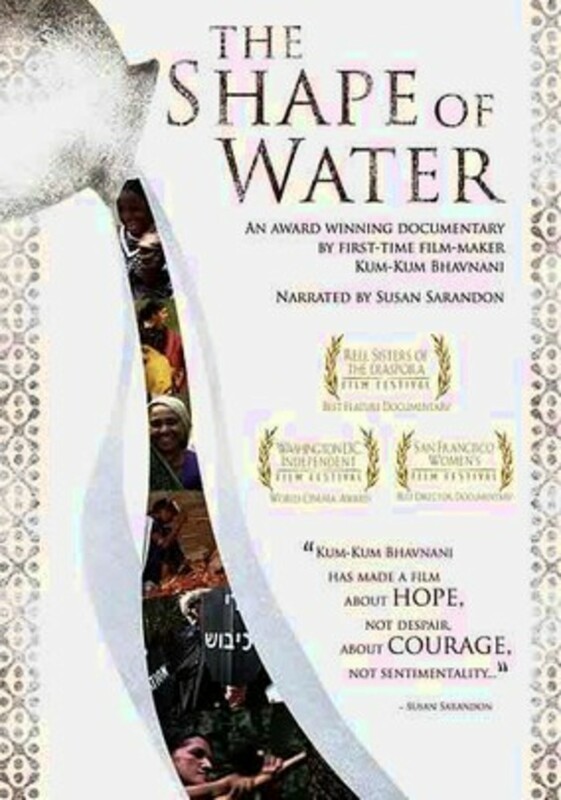 The film takes us to Senegal, Israel/Palestine, Brazil, and India where these new cultures, alongside old traditions, end female genital cutting (FGC), offer innovative forms of opposition to the Israeli occupation of Palestine, and show how women are spearheading the implementation of renewable resources and rainforest preservation by tapping trees to obtain rubber. The Shape of Water also takes us to a vast co-operative of rural women in India (SEWA) and, in the foothills of the Himalayas, to a farm, Navdanya, set up to preserve biodiversity and women’s role as seed keeper. By interweaving images, words, and the actions of Khady, Bilkusben, Oraiza, Dona Antonia, and Gila The Shape of Water offers fresh and nuanced insights into the lives of women in the Third World. The story of Mott Green and the solar-powered Grenada Chocolate Company, a farmers’ and chocolate-makers’ co-op, which makes organic chocolate from tree-to-bar. Nothing Like Chocolate Trailer from Kum-Kum Bhavnani on Vimeo. Deep in the rain forests of Grenada, anarchist chocolate-maker Mott Green operates an unusual chocolate factory that turns out delicious creations unknown to a world saturated with industrially produced cocoa. 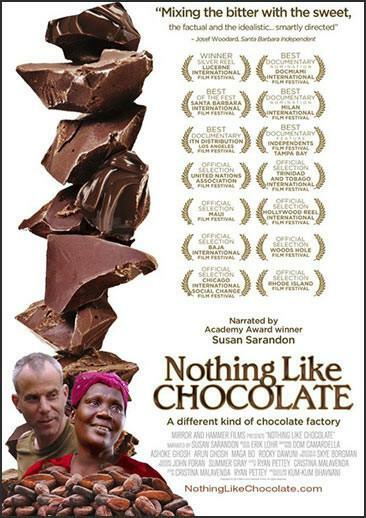 Nothing like Chocolate, a documentary film narrated by Susan Sarandon, tells the moving story of the relentless and headstrong Mott Green, founder of the Grenada Chocolate Company, as he pursues his unique vision to create the best chocolate in the world, from scratch. See how the smallest chocolate factory in the world is doing enormous things for cocoa communities, and the world’s sweet tooth. Lutah Maria Riggs (1896-1984), an architect and designer who designed eccentrically and was determined to live her life as a feisty and independent woman. LUTAH 6 Minutes from Kum-Kum Bhavnani on Vimeo. 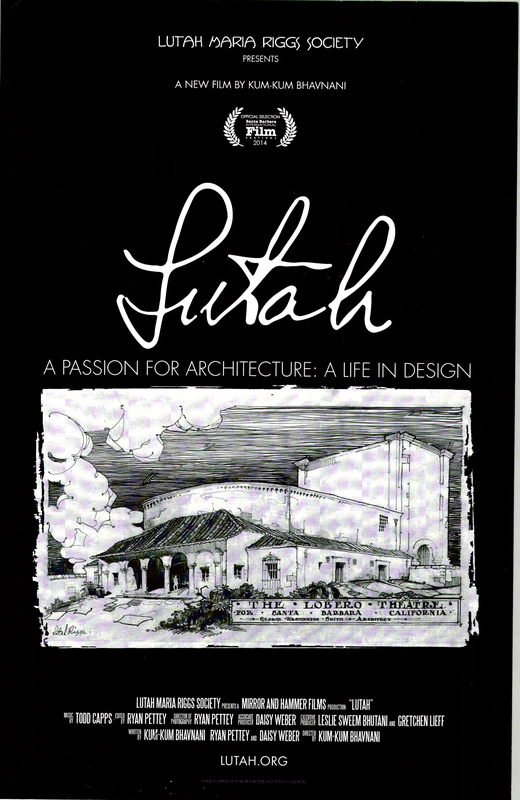 Lutah illustrates the life of Lutah Maria Riggs (1896-1984), an architect and designer who lived and worked in Santa Barbara for much of her life. My documentary illustrates how her talents in designing the Vedanta Temple and the Lobero Theatre, for example, in addition to her designs to create livable homes were bolstered by her eccentricities, and her determination to live her live as a feisty and independent woman. Intimate stories of the people of the Galapagos who, with dedication and good humor, spearhead innovative conservation projects,offering a glimpse into changing cultures. Home to over 25,000 people, an archipelago for remarkable creatures found nowhere else on the planet, the Galapagos Islands are themselves endangered. We Are Galapagos weaves the intimate stories of a group of resourceful Galapageños who spearhead innovative conservation projects. Tinged with irony and humor, their determination and resilience presents a glimpse into community cultures making deep-rooted change. 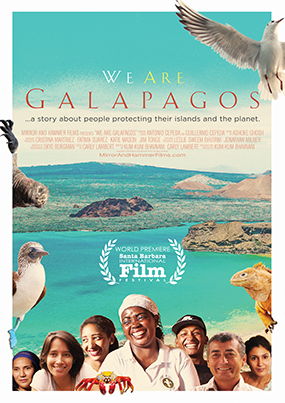 This compelling documentary plumbs the imagination of the women and men of the Galapagos as they pioneer ground-breaking measures to offset the destructive impacts of climate disruption. It acknowledges our anxieties about the future of the planet, and provides welcome relief through the portrayal of a community that is taking a hands-on approach to safeguarding the environment. With dedication and good will, the residents offer tantalizing clues for how we might make changes to protect our planet. Join me so that I may keep you posted on all my projects!